Choose two historical periods to compare. Period 2 will default to the same duration. Choose a flow threshold and < or > to access Extremes tab. For monthly reconstructions, it is possible to focus on particular months. Selections on the left will populate all other tabs. On the left, please select Annual/Monthly reconstruction and a Site to begin. Plots are dynamic. Click and drag within the time series to zoom or use the scroll bar at the bottom. Double-click on the graph to zoom out. Flows are sorted by most extreme. You may re-sort by clicking column headers. You may also change the period of interest using the Date Subset drop-down. This tab allows a quick comparison between two user-selected historical periods. Select the period on the left. Flow distributions can be compared between the two periods. Plot will adjust automatically to changes in period. All flows shown on a log scale. Fit criteria are: ME (Mean error), RSME (Root Mean Square Error), NSE (Nash-Sutcliffe Efficiency), and R (Pearson Correlation Coefficient). Hover over a point to see its date and values. Click and drag to zoom in on an area. Right click to zoom out. 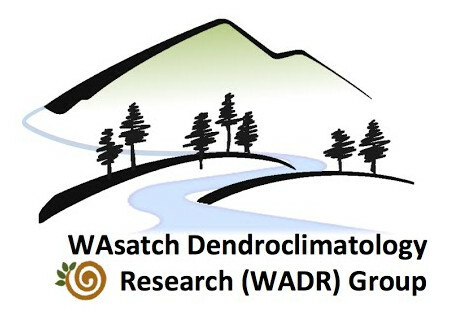 The Reconstructed Streamflow Explorer was developed by James Stagge in conjunction with the Utah State University Water Research Lab and the Wasatch Dendroclimatology Research Group . It was funded in part by Utah Mineral Lease funds. All code for this application is available as a GitHub repository , made available under the MIT license. Please direct any questions to James Stagge .